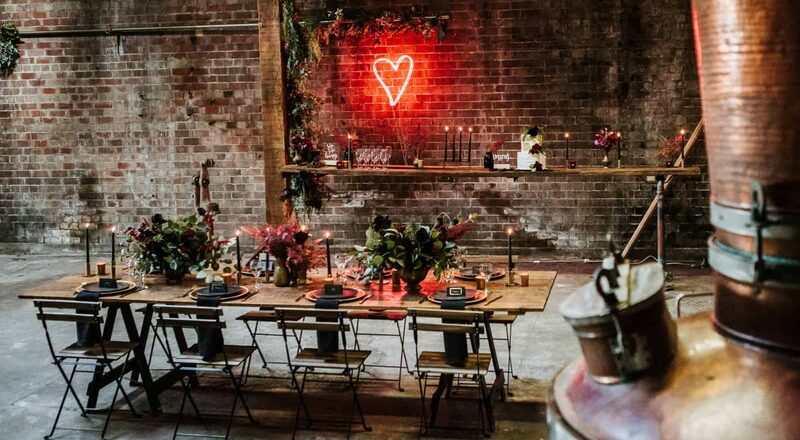 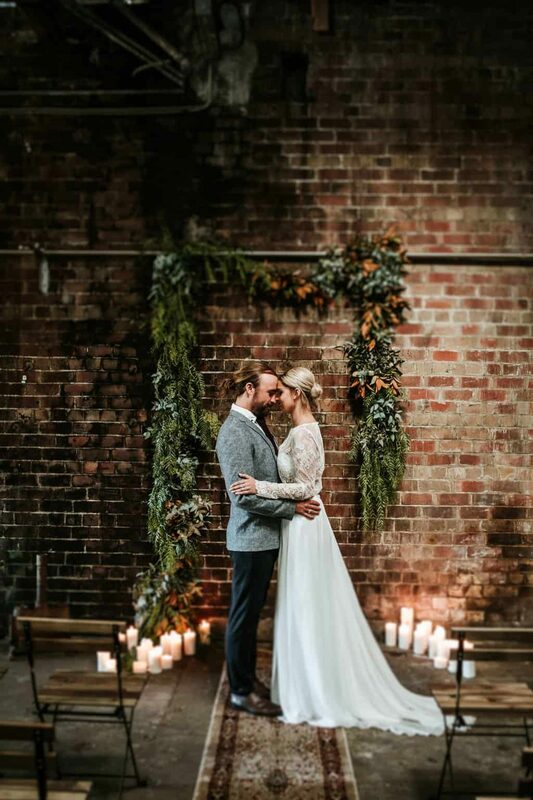 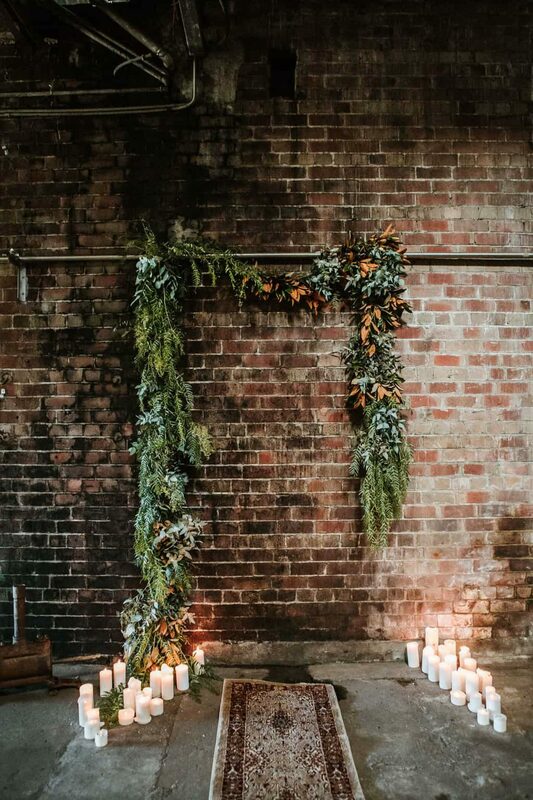 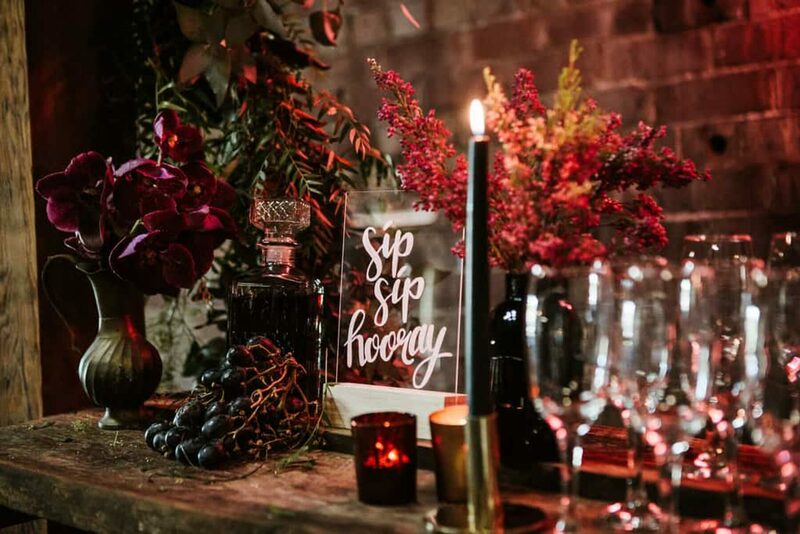 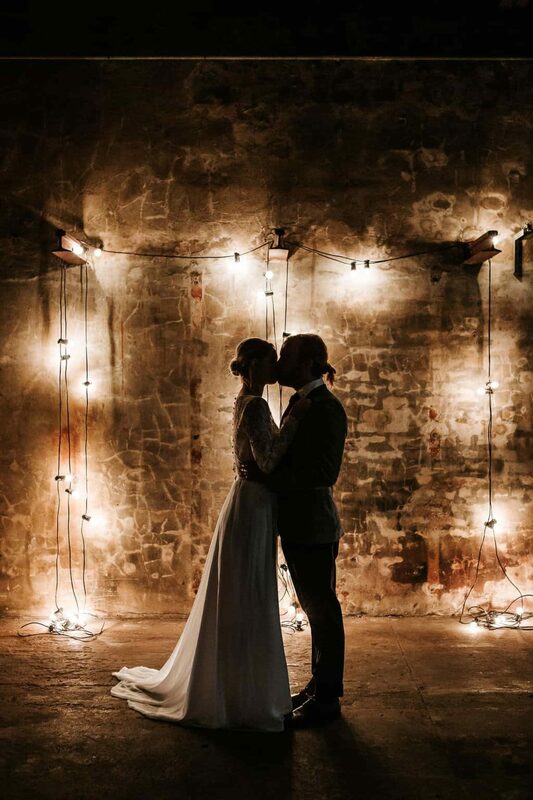 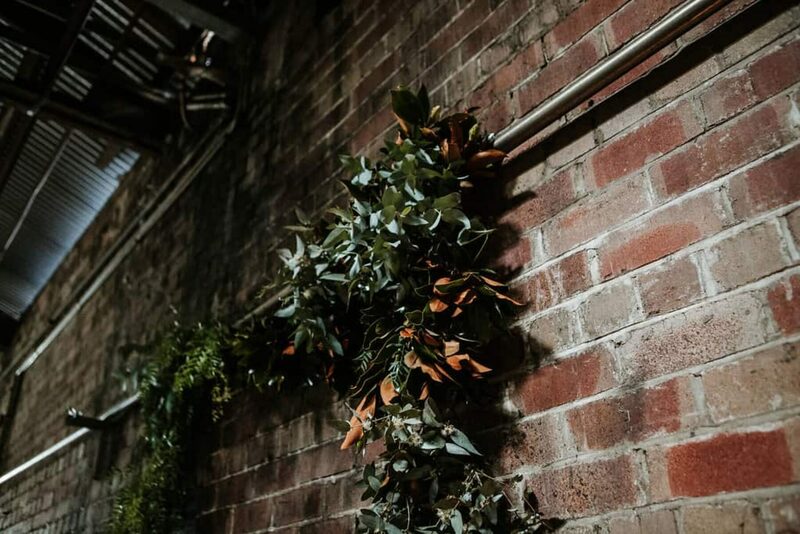 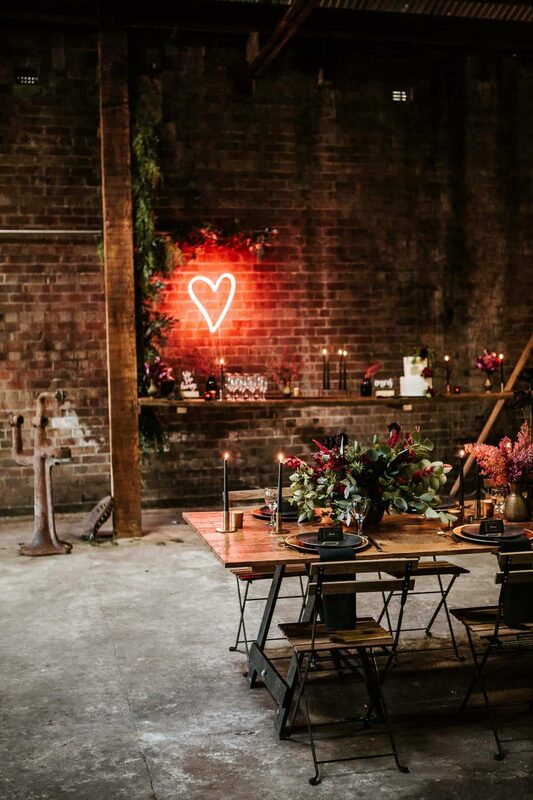 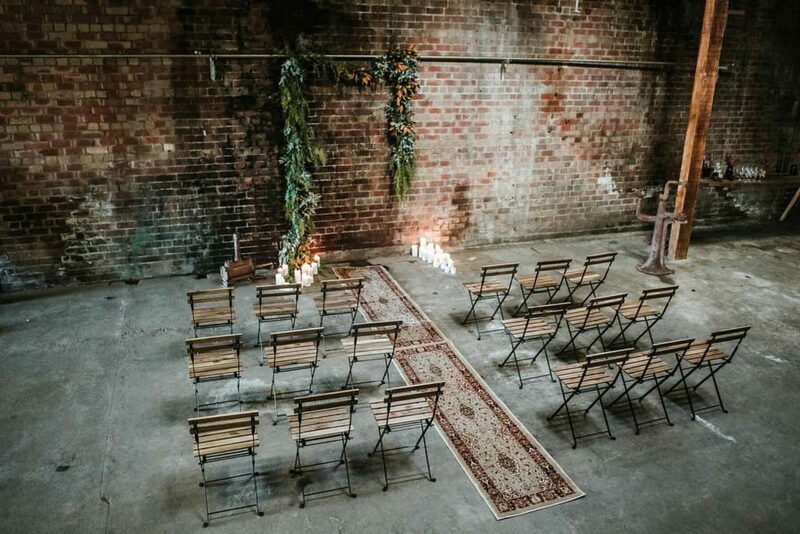 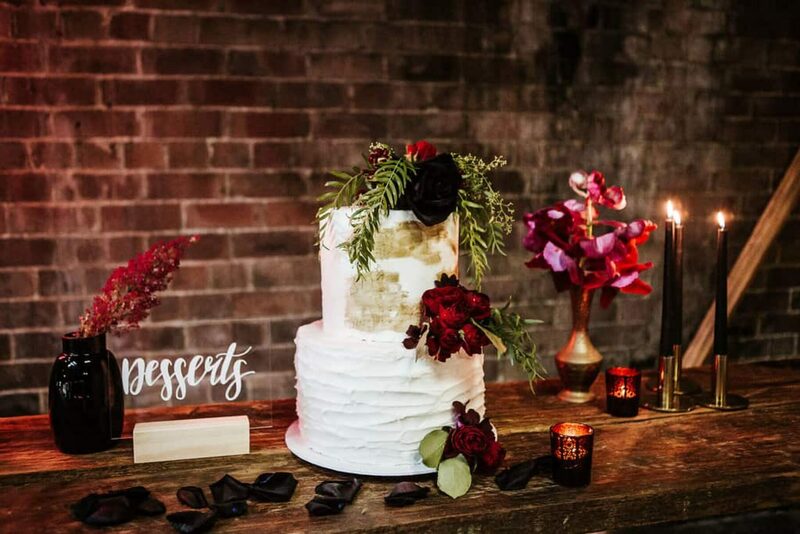 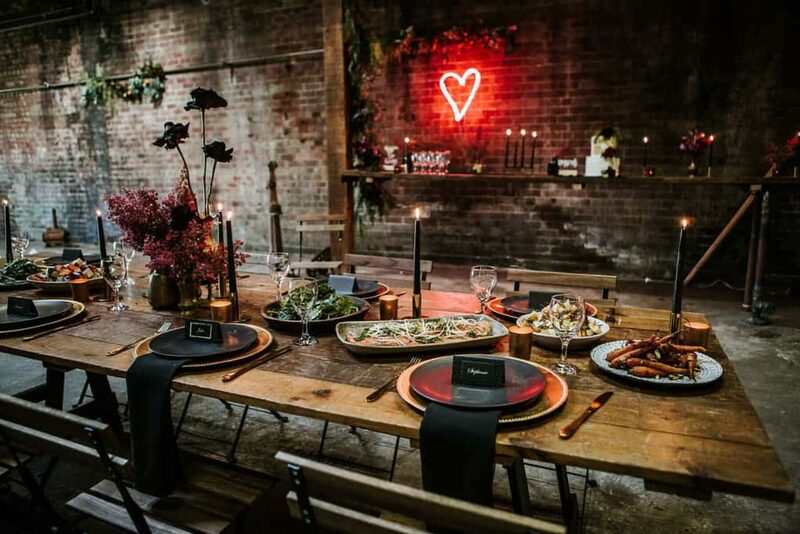 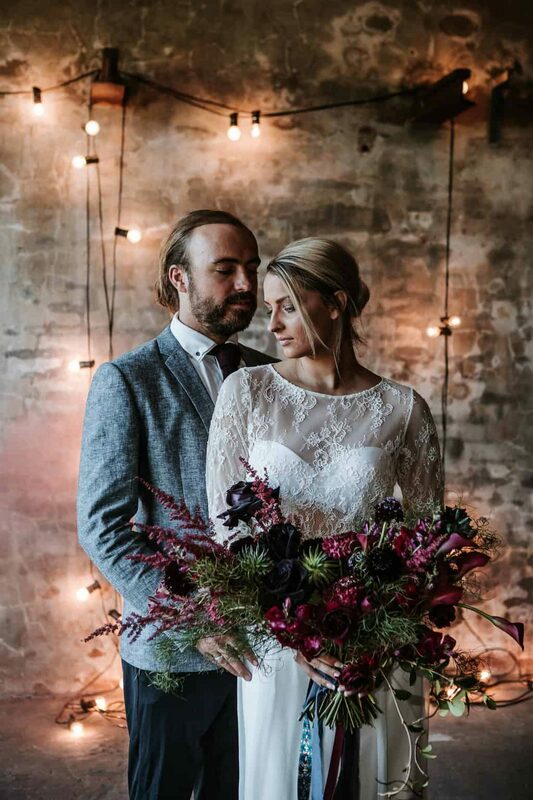 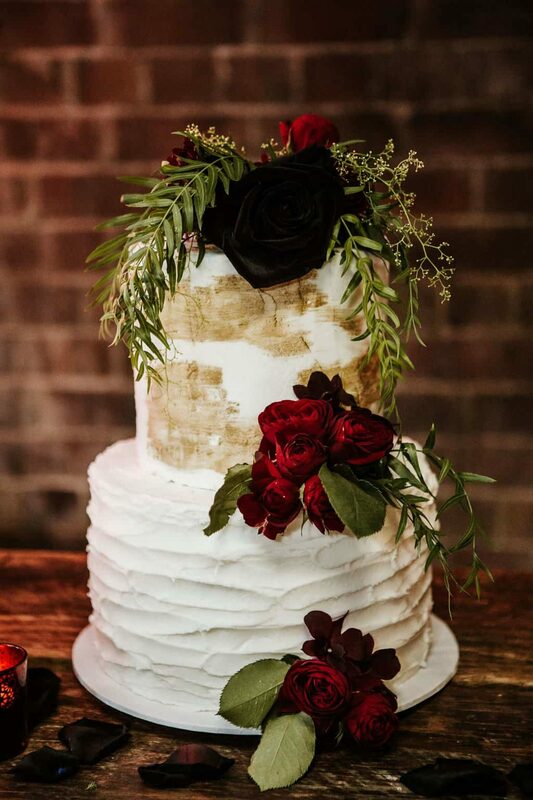 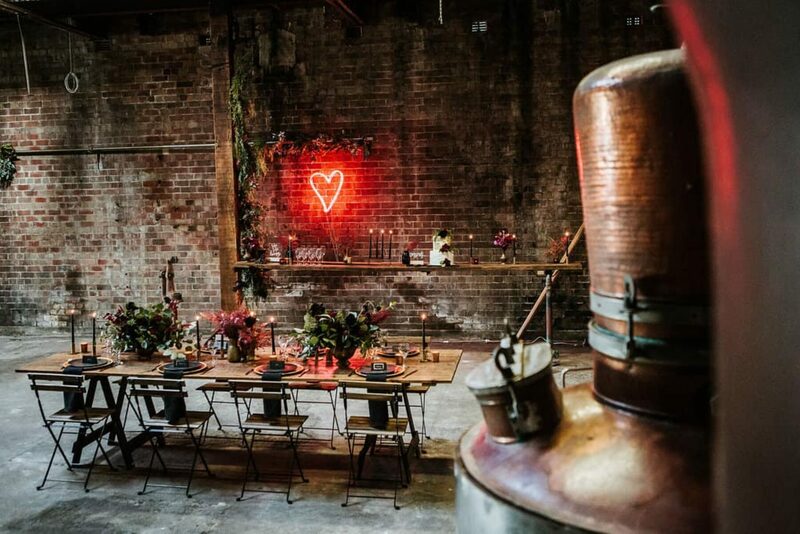 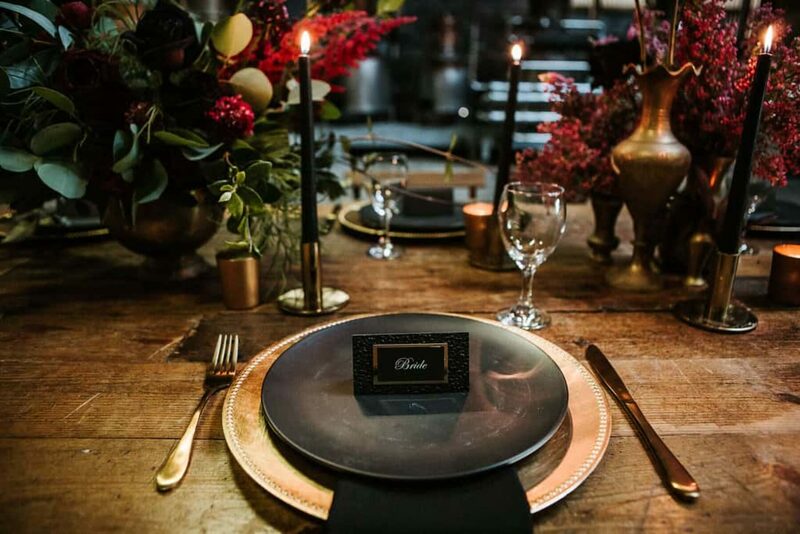 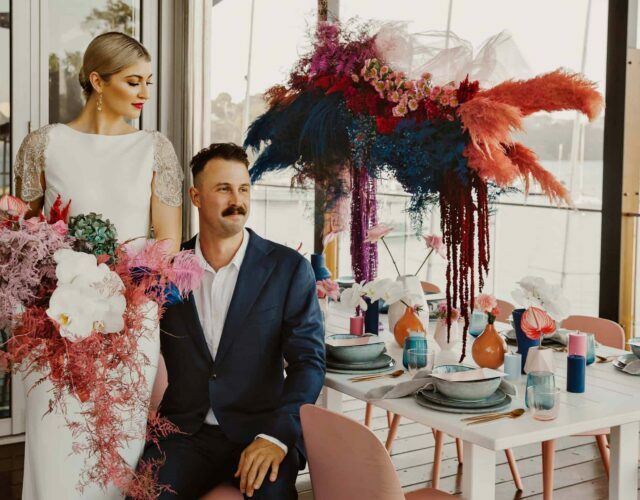 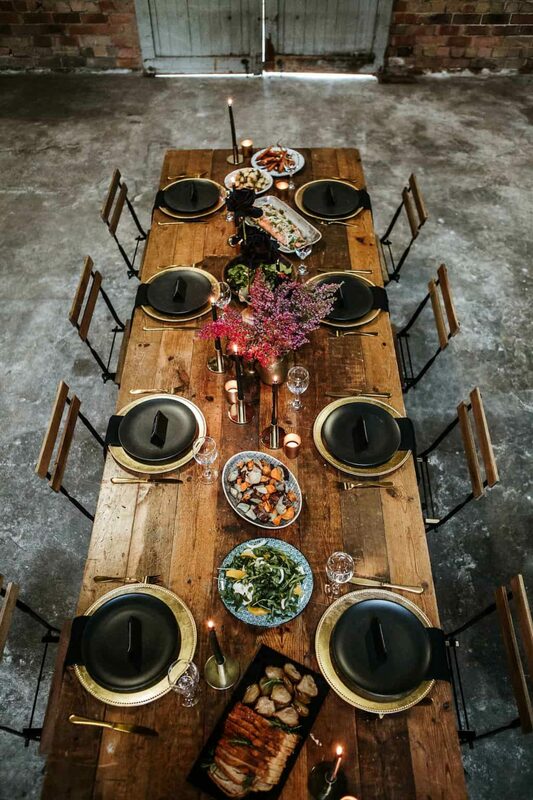 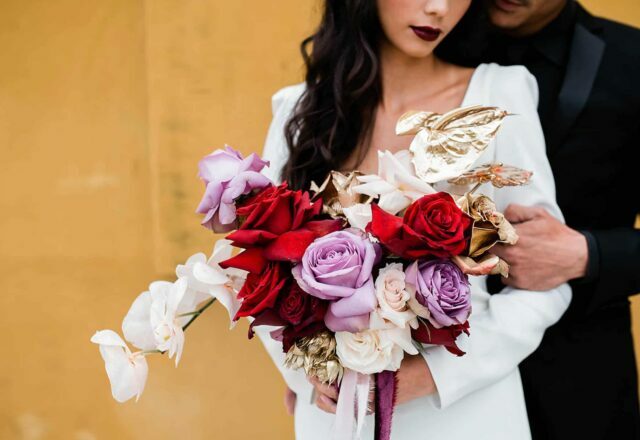 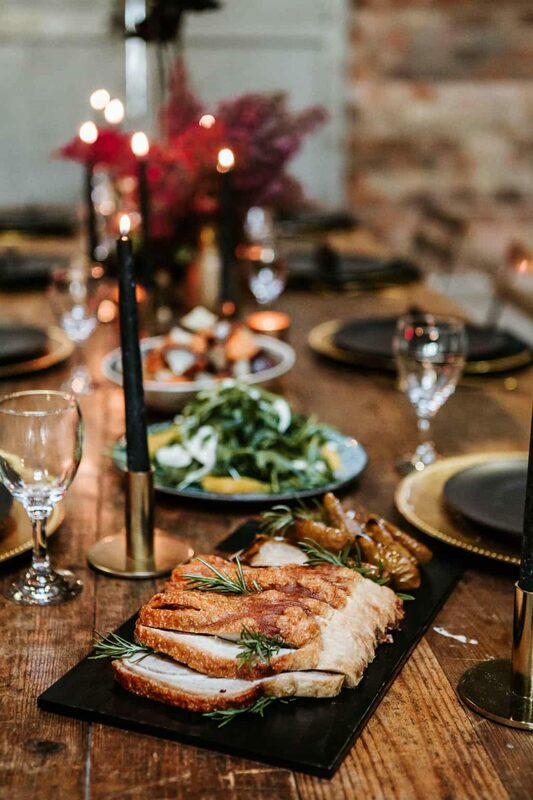 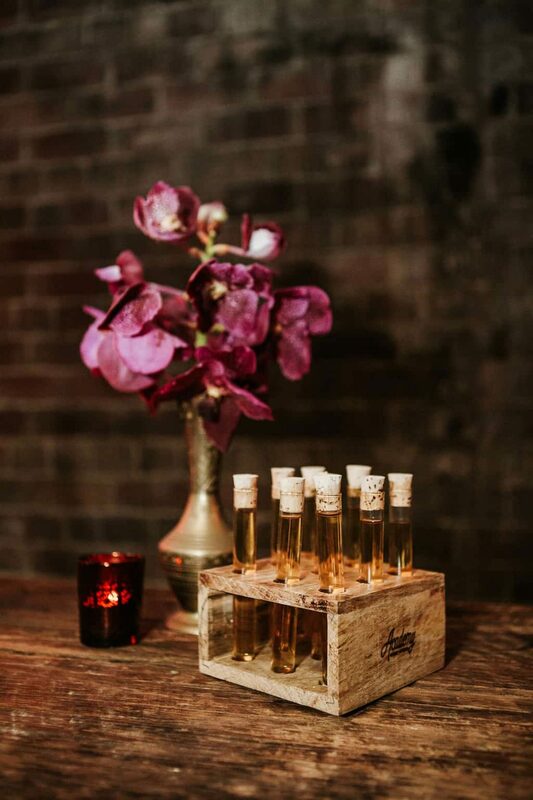 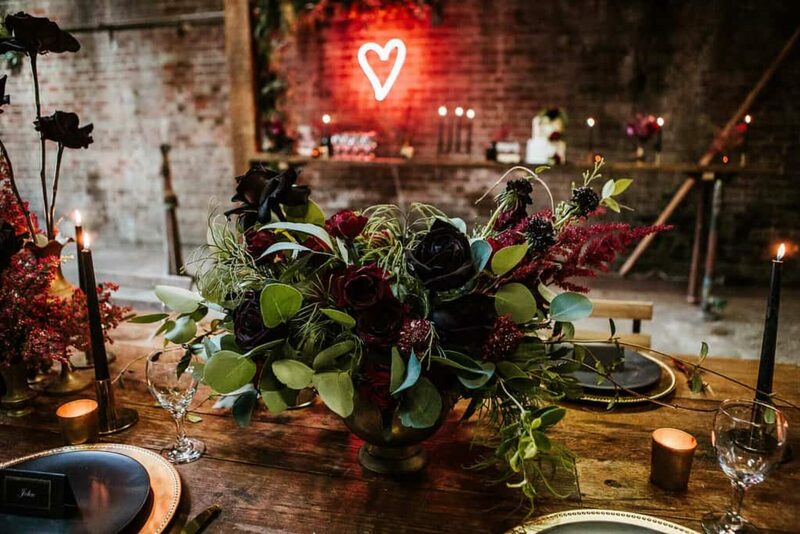 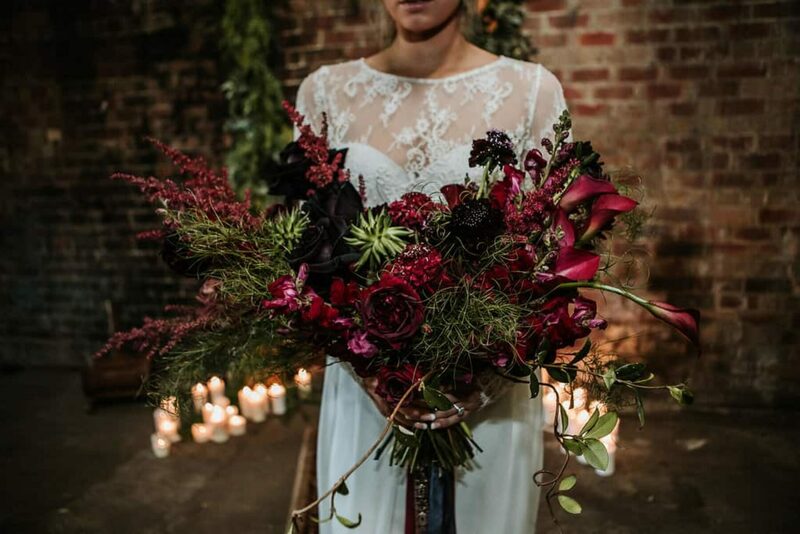 The candlelit warehouse space of The Cooperative 1888 came together with richly coloured blooms and modern styling for this moody wedding shoot, captured by Red Berry Photography. 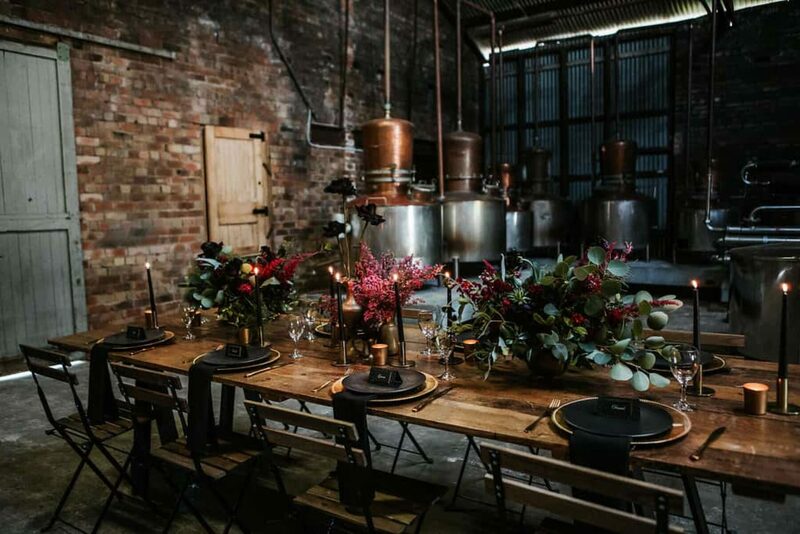 Set within the old dairy co-op in Gerringong, where milk and cream once flowed through its veins, now its Australian vodka, whiskey and Gin soon to be distilled onsite with German wine, French Champagne, local craft beer and cocktails within the cellar door experience of The Cooperative 1888. 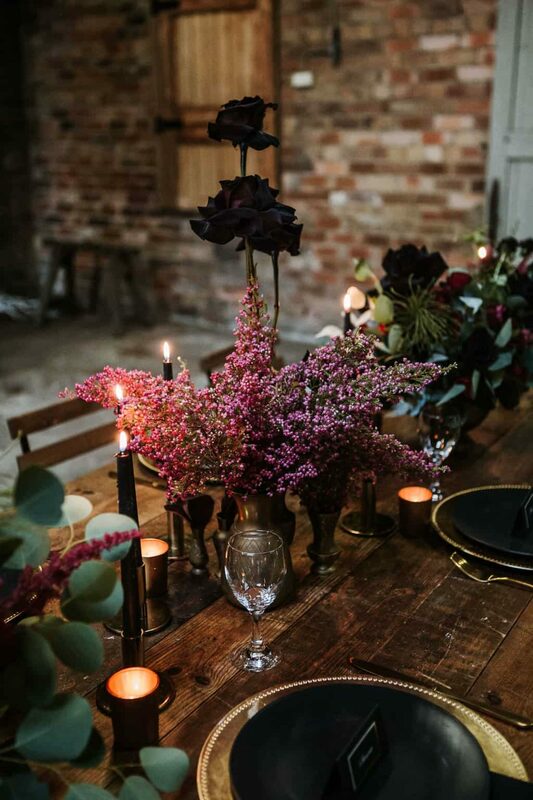 Dark and dramatic blooms and delicate foliage by Elkas Garden compliment the lofty industrial venue. 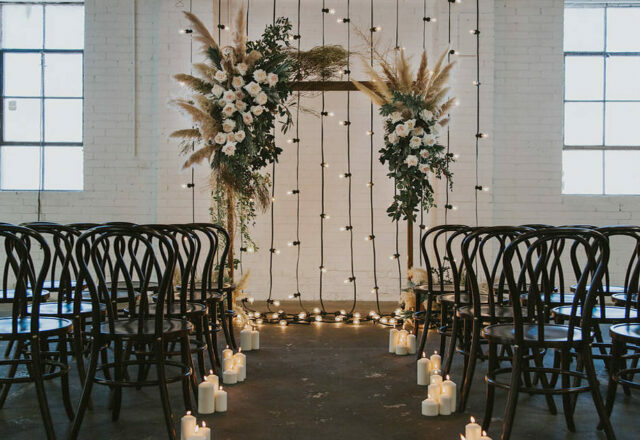 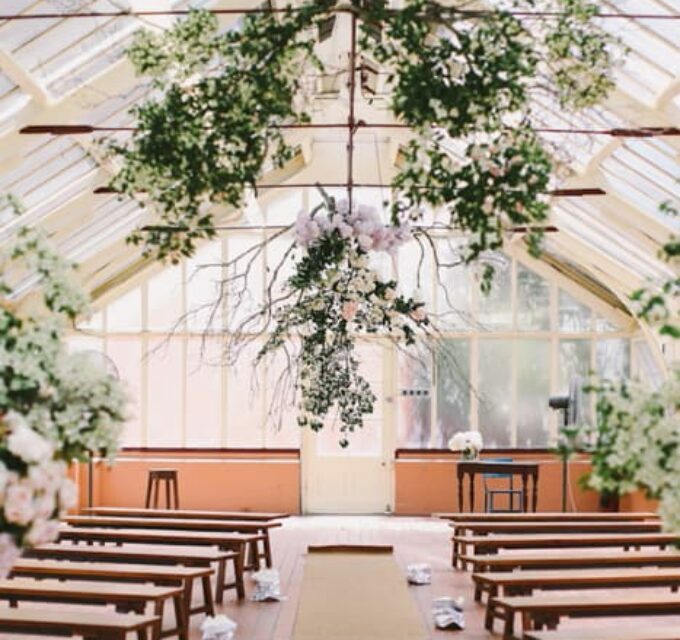 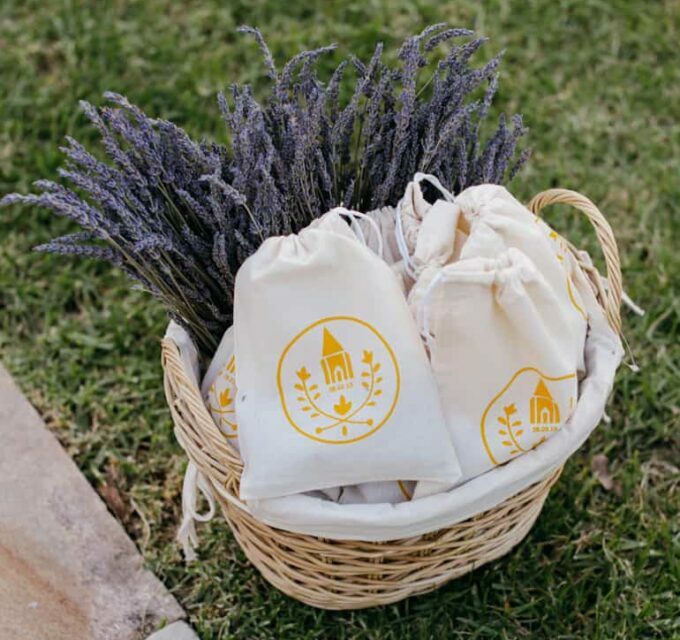 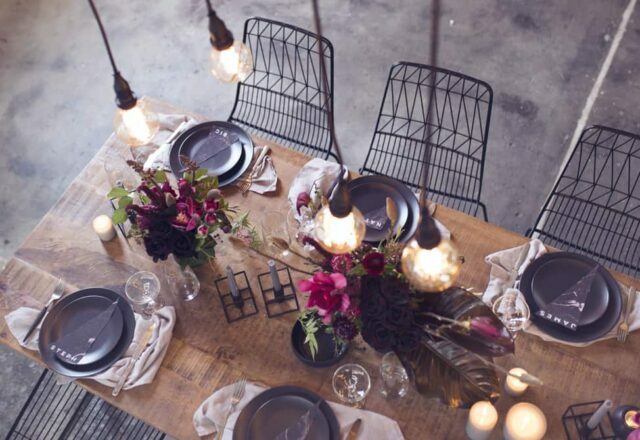 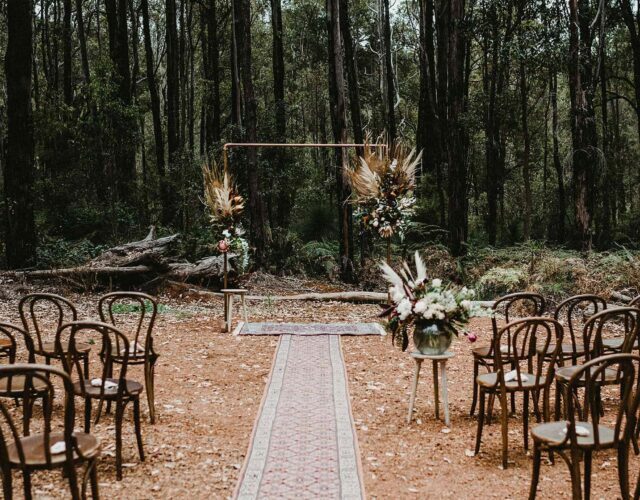 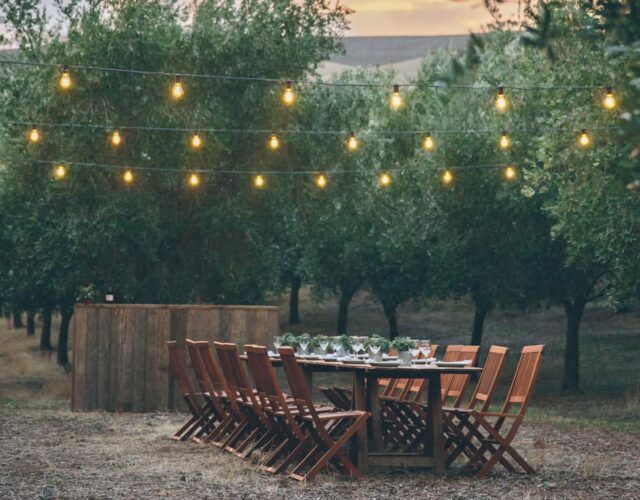 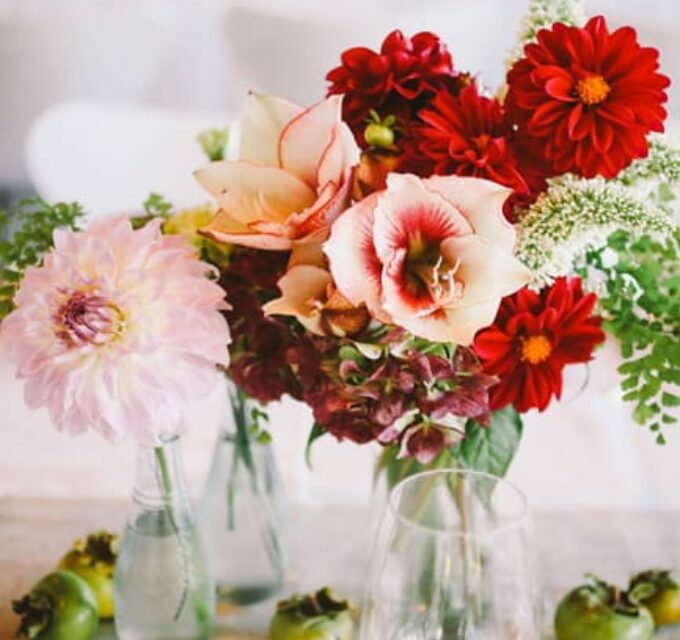 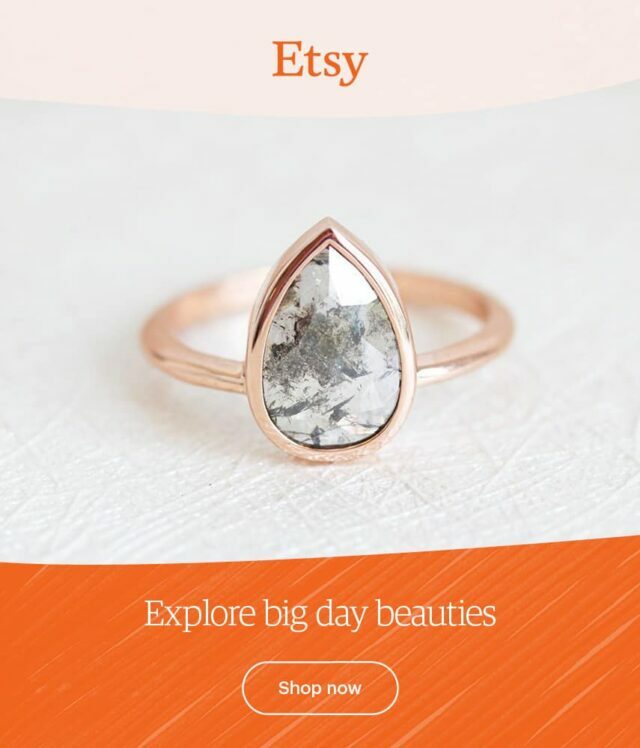 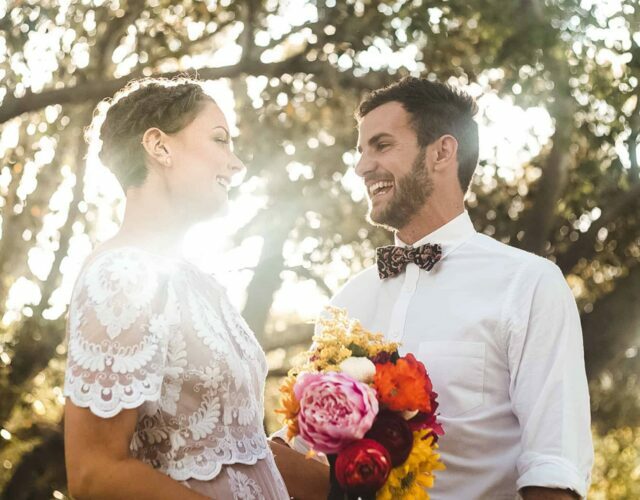 Styled by The Wedding and Event Creators, with plenty of soft light and warm tones. 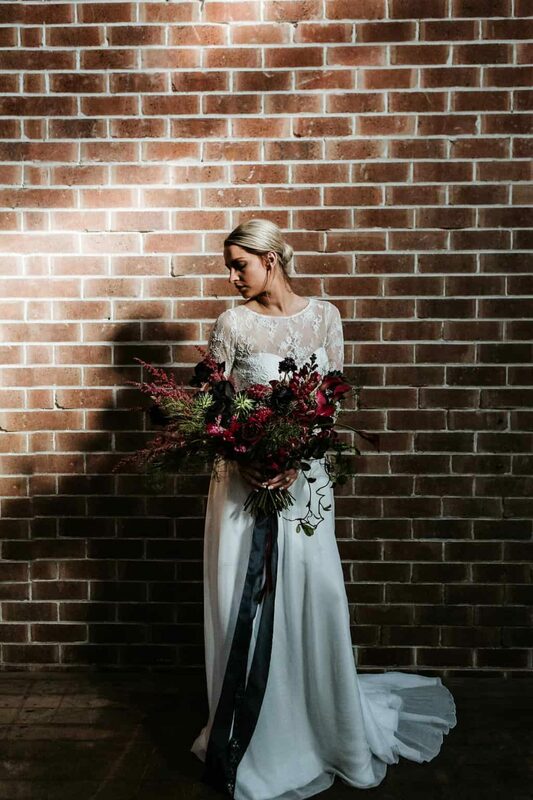 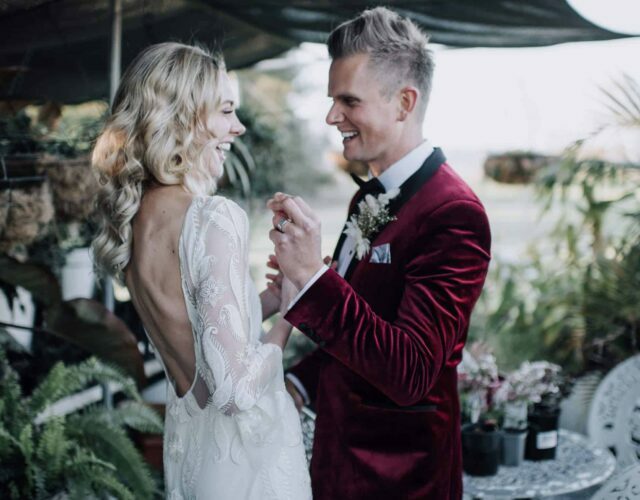 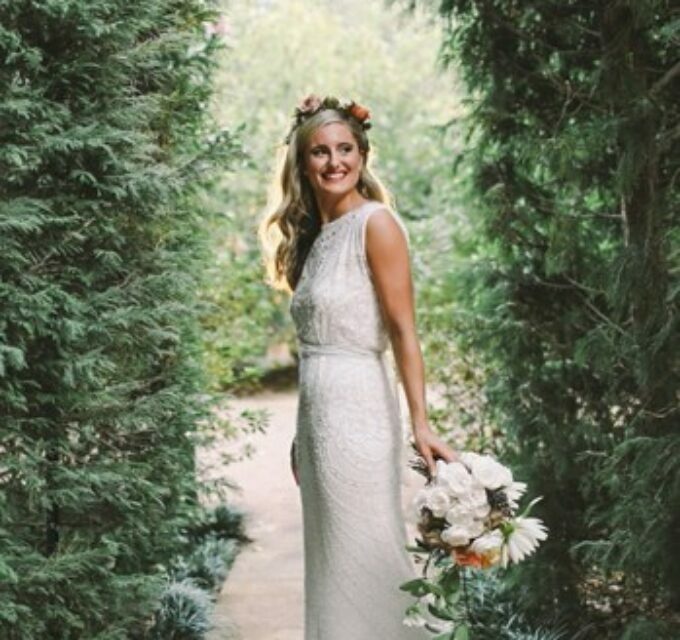 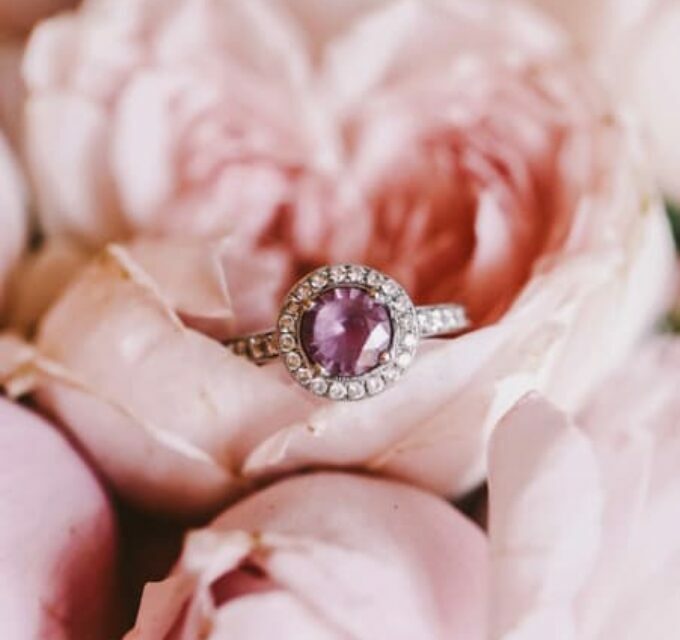 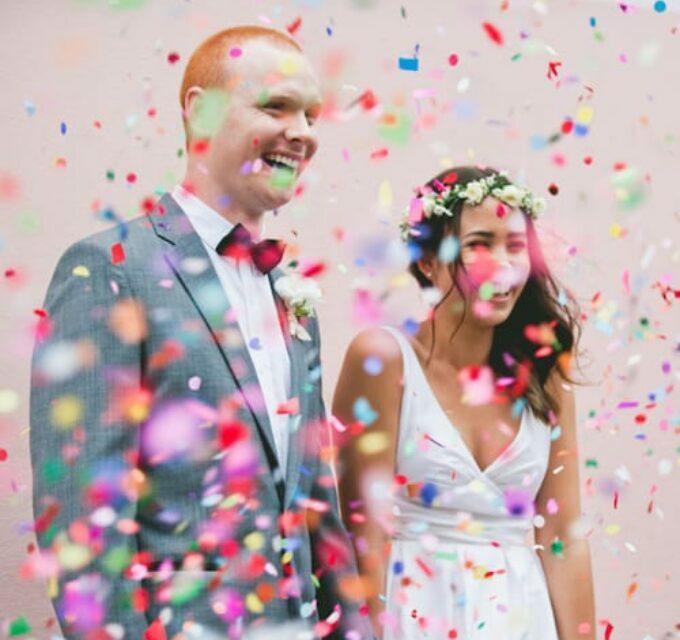 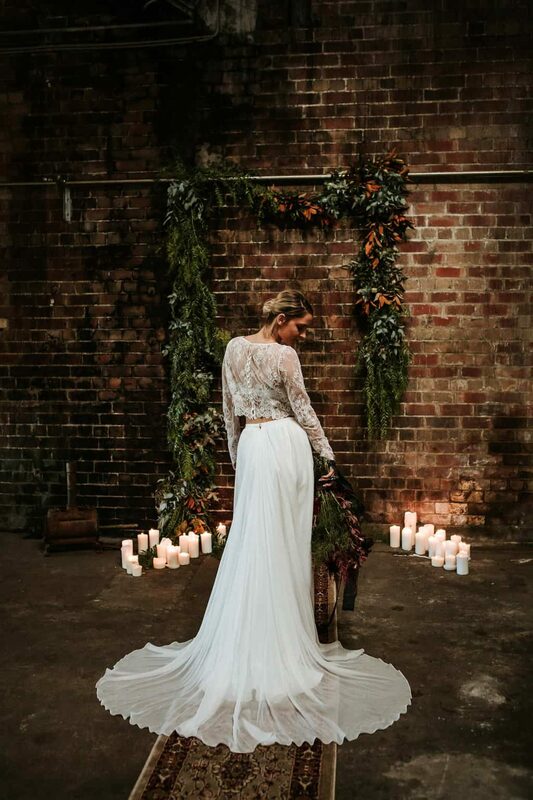 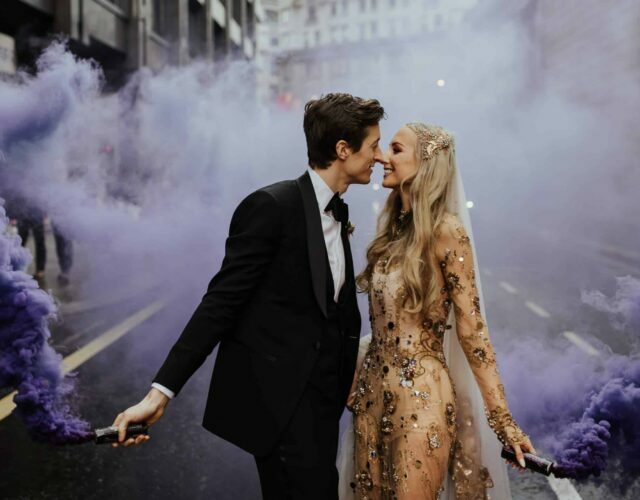 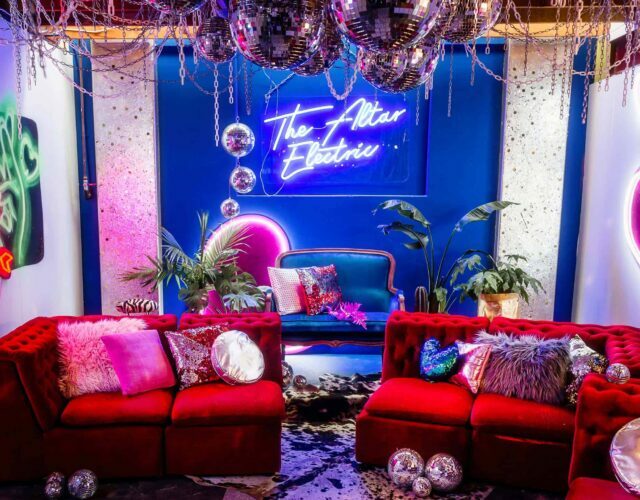 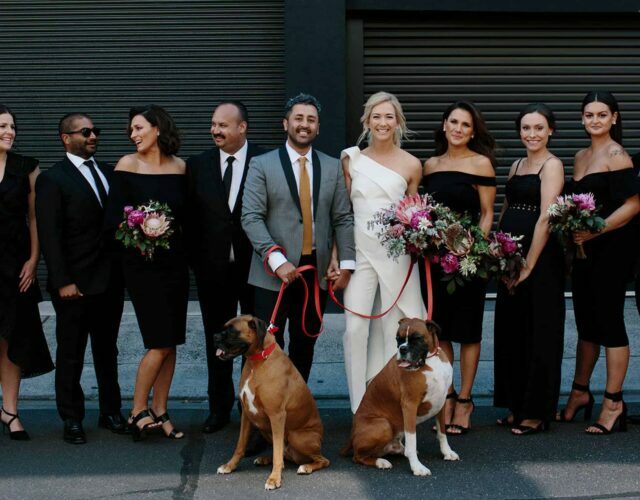 A warehouse setting calls for a cool bridal look, and Storybook Bridal brought the goods. 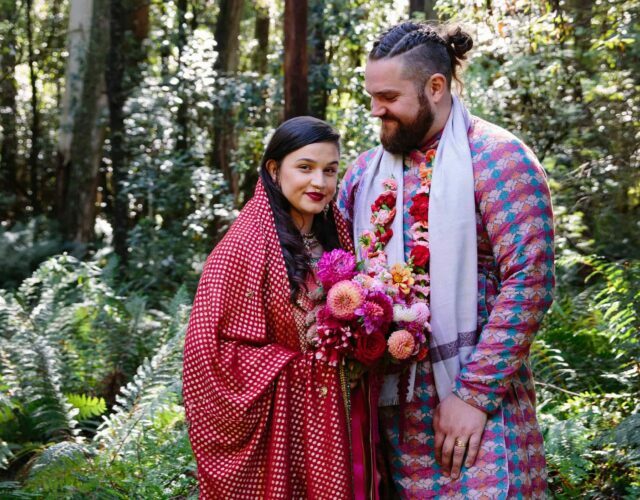 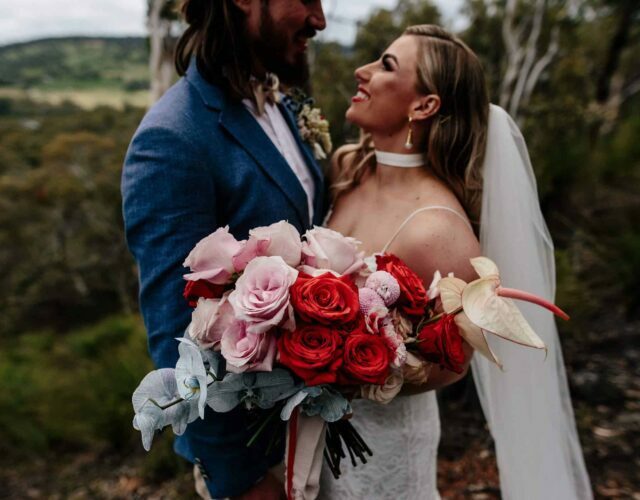 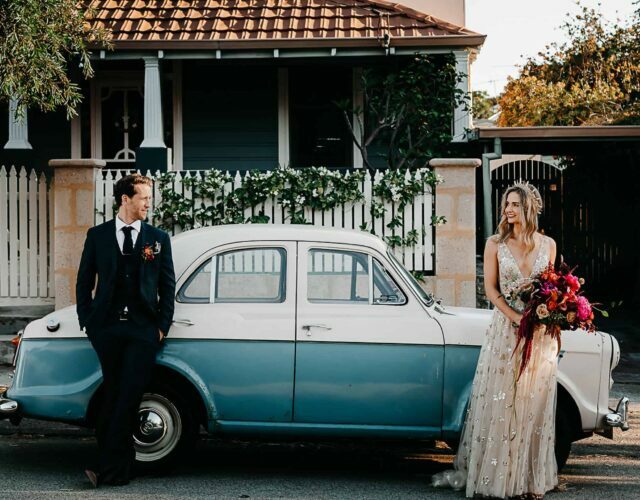 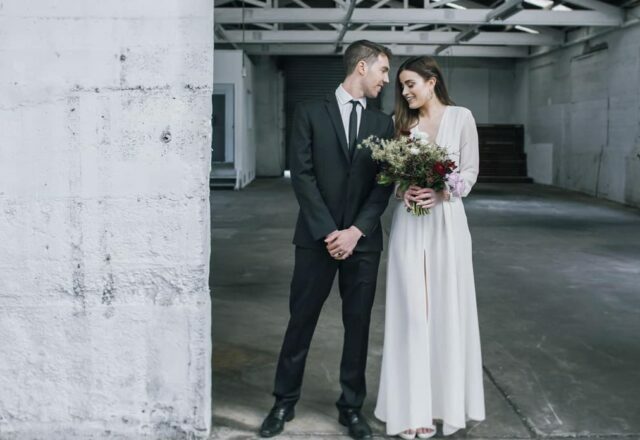 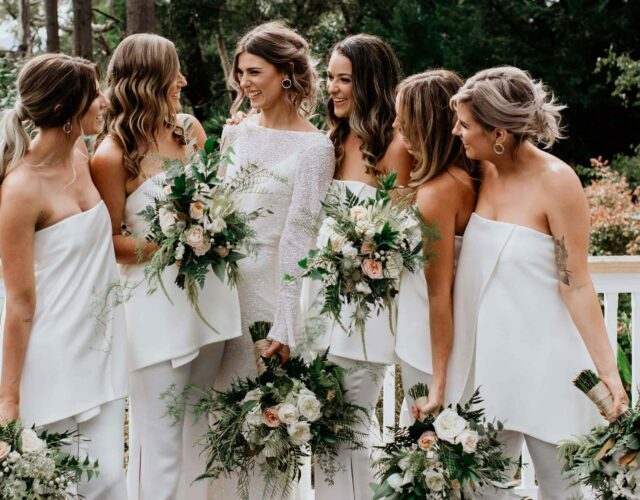 Wearing a Karen Willis Holmes crop and skirt, with minimalist beauty and hair by Rachel George, Paige is the definition of the modern bride.